Do you like drone? Do you like guitars? Do you have 23 minutes to spare? 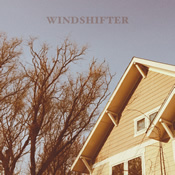 Then you’ll be pleased with Windshifter’s April Showers. Initially, I was not all that interested in Anders Johanson’s simple-on-the-surface excursions into over-distorted “post-drone” guitar realms. I have a fairly low tolerance for noise. The first track, “Rhododendron,” didn’t do much to dissuade me from that in its five-minute span. My interested piqued a bit more when “Lilly” introduced some oscillating tones to echo and rebound like some early electronic music experiment, which were then joined by a slowly moving melodic line in high tones over a steadfast guitar drone. Now things were happening. When the oscillating sounds come back at the end of the track, madly overmodulated to the point of sounding like a rabid creature made of anger and electricity, I was in. This is the kind of noise I can deal with. Johanson further catches me by dropping abruptly out of that into the quiet start of “Dronsanthemum.” Oh, “Dronsanthemum,” how you proved me wrong about April Showers. Pleasantly lulling after the harsh snarl of “Lilly,” once you’ve got me listening, you start to get rough. Long notes hold and multiply, develop serrated edges, and transform into a drawn-out post-rock structure. Each new note is a layer in an ever-thickening atmosphere, and the resonance goes right through me. It grows, it swells, it hypnotizes. The way fresh chords erupt out of a mass of blaring noise is fantastic. It adds motion and energy to the drone framework, and it absolutely pulls me in. Johanson wisely gives us a slight respite at the end, breathing room after so much tension, but wobbles it around with those funky analog oscillations one last time. More, please.